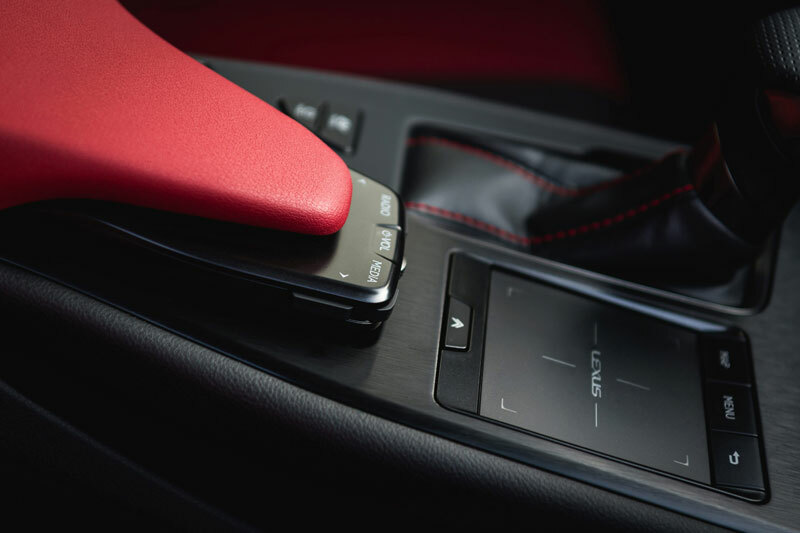 Urban Explorer is what Lexus calls its fresh take on the luxury lifestyle UX200. So, when I got a chance to take it on the roads of the Metro and nearby Tagaytay I put on my explorer driver. The UX 200 was something that I knew I wanted to get behind the wheel of as soon as it was launched recently. For starters, the UX 200 offers the widest field of vision and best turning radius of any subcompact SUV — and that is just the start of an amazing journey I had with the UX 200. The other thing I must mention here is the fine details in every inch of the finely crafted interior. There is no doubt in my mind that Lexus, the innovator in luxury utility vehicles, is opening a new gateway into the brand with its first-ever compact crossover, the all-new UX. As is my habit, I usually like to be the one to pick up the test unit in the garage of the manufacturer — this way I am able to size up the unit before I even set foot in it. The same was so with the Lexus UX. I began my day bright and early at the Lexus headquarters where I pulled out the test drive. I was also impressed with other luxe Lexus units that were parked at the garage that day — each car neatly lined up in the parking area. Since the only person at the garage that morning — as their drivers had not yet arrived at work — was the security, he asked me very kindly if it would be okay to help move the other three Lexus cars that were parked ahead of the UX. No problem. I did as I was told and finally I got my hands wet and started the Lexus UX. I was in love. As I drove the UX out of the garage — Tagaytay was my destination that early morning. I noticed that model offers the brand’s luxury appeal and safety in a package that combines bold new design elements and an efficient new powertrain. The UX is crafted expressly for the modern urban explorer who seeks a fresh, contemporary, and dynamic take on luxury lifestyle. I might add it is perfect for that driver who has an active lifestyle — like me. The easy cockpit: All controls are within easy reach. As I sat in the cockpit, I recalled what I was told at the launch — what Chika Kako, chief engineer of the UX said. I reflected a little about that as I approached the SLEX and then I was challenged to see what the UX could do when faced with the challenged of the SLEX. The Lexus UX brings to the table the widest field of vision and best turning radius of any luxury compact SUV. That is a very good thing for us drivers who want to take control of our vehicles and see what the roads ahead have to offer. Inspired by the traditional Japanese concept of engawa that blurs the boundary between a home’s exterior and interior, designers created a feeling of seamless continuity inside the UX. For example, the upper section of the instrument panel extends out beyond the windshield and gives the driver a 360-degree bird’s-eye view of the car and its surroundings. The unique design of the Lexus UX is inspired by the Cross-Create approach. This means that exterior design incorporates the distinctive features of an armored vehicle with a robust body, and a racecar with agile performance. By combining the distinctive features of each — such as rear combination lamps with a shape that is inspired by the shape of a racing car, and a body cross-section and wheel arch moldings similar to an armored vehicle, this surprisingly unconventional cross-creation has resulted in an original and imaginative exterior design befitting this new-genre vehicle. How would I describe "being behind the wheel? Let me just say that safe and locked in the arms of luxury" comes to mind. Challenging all forms of unconventionality, the boundary between the exterior and interior has been eliminated and instead connected with seamless continuity. This concept is most evident from the driver’s seat. The exterior is designed with the hood looking as though it passes through the windshield and connects to the upper section of the instrument panel, while the interior’s upper section of the instrument panel appears to extend beyond the windshield to the exterior. The design of the UX expresses the sense of security that is expected of a luxury crossover, but equally communicates agility and a fun-to-drive vibebecause of its sleek and condensed lines. If this sounds like an oxymoron, it is. I was really hungry and the traffic on the SLEX in that early morning drive was a bit irritating. 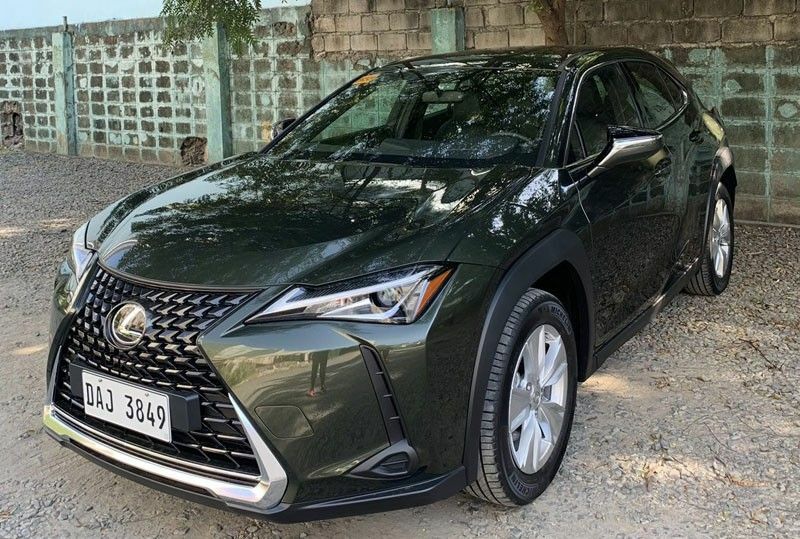 But I was happy behind the wheel of the Lexus UX and it far outweighed the hunger pangs that were rumbling in my stomach. With Breakfast at Antonio’s just around the next bend I noticed that the Lexus UX further marks a series of technical innovations, including the first use of the new Global Architecture Compact (GA-C), which delivers fundamental high structural rigidity and a low center of gravity, thus securing excellent ride quality and stability. A new powertrain is also deployed for the first time: a new 2.0-liter gas engine that reaps the performance and fuel economy benefits of high thermal efficiency. This innovative approach seems to achieve the best possible aerodynamic performance from the UX’s rear combination lamps, wheel arch moldings and in a World First concept — aerodynamic wheels. The Aero Stabilizing Blade Lights in the rear incorporate fins with a distinctive design that helps prevent airflow from wrapping around the rear of the vehicle. They keep the rear of the car stable when turning and driving in crosswinds. I did a quick test in the parking lot at Antonio’s as I was the first car in that morning. I noticed that the wheel arch moldings have flat sides and a stepped top section, which generates an airflow that helps reduce roll and keeps the vehicle stable when the car is cornering or being driven in a straight line.